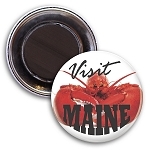 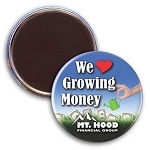 Metal Souvenir Magnets add dimension to your magnetic promotions. 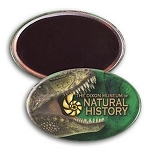 Also known as celluloid magnets, they have a 90 mil magnetic back. 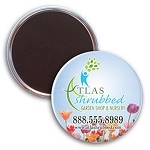 The high quality, full color printed round metal refrigerator magnets are popular as handouts at fairs, trade shows, and campus festivals! 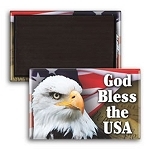 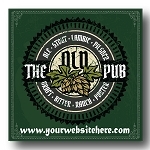 They're perfect for gift shops, fund-raisers, and photographers.